Jerry Keeling was a standout Defensive Back and Quarterback. A slight 6’1″ and 170 pounds, he was called ‘Bones’ by his teammates and ‘The Splendid Splinter’ by the press. During his 15 seasons Keeling completed 1,302 passes for 18,239 yards and 119 touchdowns. 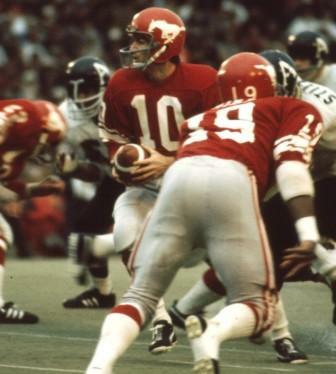 Keeling’s longest pass was a 109-yard strike to Terry Evanshen on September 27, 1966. He was the Western passing leader in 1969 with 229 completions for 3,179 yards and was the Eastern leader in 1975 with 145 completions. In 1964, Keeling set a defensive record with a 102-yard fumble return.